This is where I'll be tomorrow, Emerald Bay, Lake Tahoe. Glenna of A Fridge Full Of Food, But Nothing To Eat is coming to visit me. So, I'll be driving to pick her and Gene up in Reno and we'll see the sights before coming to my house. 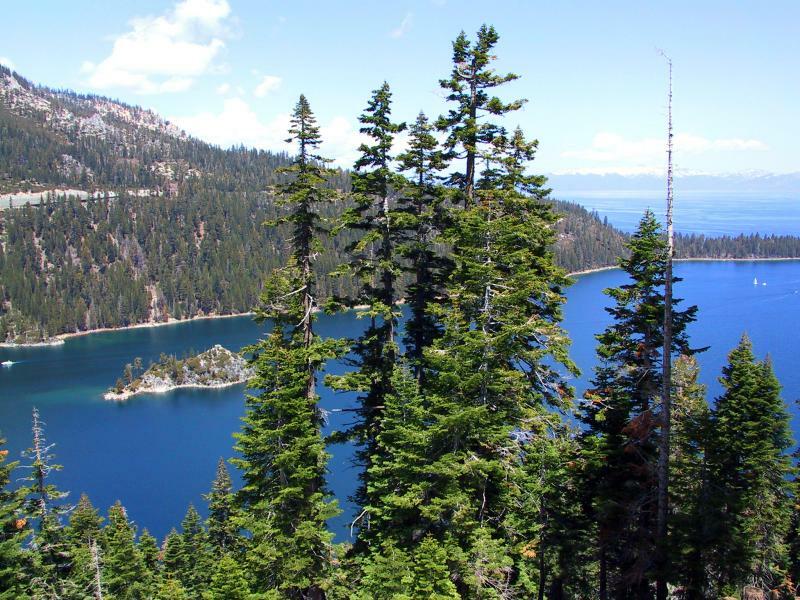 People from this area know that Emerald Bay is a traditional Must See for company. After we come back here, we'll see the Wine Country. Of course, company means that I have to clean my house. I waited for the elves to show up in the night to clean, but they oviously don't do that anymore. I started cleaning yesterday and promptly broke my mop. Hmm......a message there maybe? I think Mustards Grill is a given, don't you?